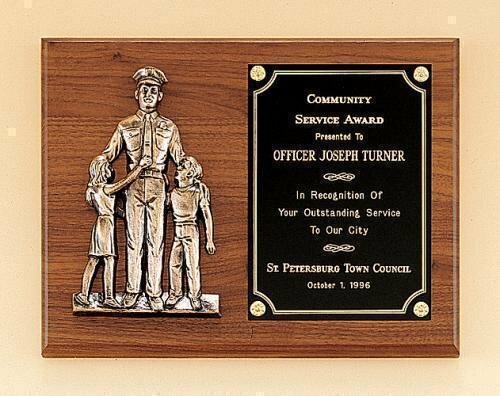 Police award casting with antique bronze finish on solid American walnut plaque. Solid brass engraving plate(s). Individually boxed. PRICING INCLUDES ENGRAVING !